Mercator Ocean has established ties with all the major national and international operational oceanography projects. This outgoing attitude has been an integral aspect of the project since its inception and has meant that many specialists from other organisations are also contributing their experience, work methods, knowledge and specialised skills to enrich the Mercator ‘crucible’. The international GODAE experiment, the first international, ‘full scale’, operational oceanography project, began in 2003. Its goal is to demonstrate that it is possible to observe, model and predict the state of the global ocean in three dimensions on a routine, real-time basis. 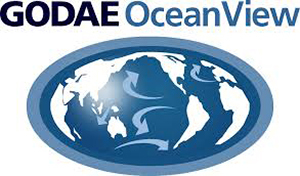 GODAE (Global Ocean Data Assimilation Experiment) is a practical demonstration of how real-time assimilation of ocean data on a global scale can provide regular, complete descriptions of ocean temperature, salinity and current fields for operational oceanography as additional information for seasonal forecasting and research models. As a GODAE Partner, Mercator Ocean is one of the patron agencies. It is also a member of the International GODAE Steering Team (IGST). The Mercator system is one of the programme’s pilot systems. The joint NASA/CNES Ocean Surface Topography Science Team (OSTST) supports basic research and analysis activities associated with joint satellite altimetry missions (TOPEX/Poseidon (TP), Jason-1, and Ocean Surface Topography Mission) and other ocean altimetry data sets. This solicitation calls for U.S. and non-European proposals for the Science Team. The NEMO team coordinates and implements maintenance and development of a numerical model (of ocean dynamics, marine and sea ice bio-geochemistry, adjoint model and tangent-linear model). Mercator Ocean , together with Ifremer and Météo-France, is one of the three French members of EuroGOOS, the European component of the Global Ocean Observing System programme. GOOS is a worldwide programme financed by four international organisations (the International Oceanographic Committee, IOC, the International Council of Science, ICSU, the world meteorological organisation, WMO, and the United Nations Environment Programme, UNEP). GOOS federates many programmes which are all contributing to the objective of a continual, global system capable of observing, modelling, analysing and forecasting the state of the ocean (using both physical parameters but also other indicators such as living resources and environmental traits). Among the observation systems federated by Goos are Jcommops, Soop, TAO, Triton, Pirata, Gloss, etc., but it also includes pilot projects (Godae, Mercator, Argo) and creates regional derived programmes such as EuroGOOS, MedGOOS, Black Sea GOOS and Africa GOOS, among others. Eurogoos was involved in setting up the European GMES projects and in particular, in supporting the Mersea project. France, Spain and Portugal set up a task team for Eurogoos for the ‘Bay of Biscay and the Iberian shelf’ called IBIROOS. This would complement the NOOS initiative which federates the action of northern European countries for the continental shelves. Mercator Ocean is involved in a task team for EuroGOOS for IBIROOS. Mercator Ocean participates also in a task team for EuroGOOS for the Mediterranean Sea : MOON. Coriolis is an inter-organisational programme, run by Ifremer, which collects and validates in situ data for the oceanography community. This centre acts as a clearing house for in situ data. It provides Mercator in real-time with all available data for operational prototypes and in delayed time for validating ocean models. is an Ifremer centre which collects satellite acquired ice data and produces global analyses. Mercator retrieves and formats the wind stress data calculated from satellite scatterometer for validation purposes. Ce programme CNES/ESA, opéré par CLS, traite, valide et diffuse les données altimétriques (Jason-1, Envisat, GFO, Topex/Poseidon) pour la communauté océanographique. Ce centre sert de portail pour les données altimétriques : il fournit en temps réel à Mercator Océan toutes les données disponibles (un jeu réactualisé par semaine) pour les prototypes opérationnels, et en temps différé pour la validation des modèles océaniques. DRAKKAR is a scientific and technical coordination between French research teams (LEGI-Grenoble, LOPS-Brest, LOCEAN-Paris), Mercator Ocean, NOC Southampton, IFM-Geomar Kiel, and other teams in Europe and Canada. We propose to design, carry out, assess, and distribute high-resolution global ocean/sea-ice numerical simulations based on the NEMO platform (www.nemo-ocean.eu) performed over long periods (five decades or more), and to improve and maintain a hierarchy of state-of-the-art ocean/sea-ice model configurations for operational and research applications. This effort is motivated by the need for better numerical simulations of the ocean state and variability over the past decades, in order to address e.g. the following issues: what are the mechanisms that drive the interannual to decadal oceanic variability? what are the relationships between the variabilities of water masses and the circulation? what is the impact of boundary currents, eddies and small scale processes on the large scale circulation and its variability? By exploring global models at increasing resolution, DRAKKAR prepares the ocean components for future Earth system models.